Nowadays, the replacement of mobile phones is getting faster and faster, and the frequency of people changing mobile phones is getting higher and higher. Of course, the demand for phone accessories and phone repair will become bigger and bigger. More and more customers are choosing to sell mobile phone and do the repair business. Today I want to share is a nice phone fix kiosk design for a Sweden customer. Fix my phone is a famous brand in Sweden. Because the logo has little blue color, to match the logo, this phone fix kiosk design used simple white match little blue. The whole kiosk is simple but looks very nice and comfortable. Near the cash counter are four cylinder shape decorations, make the kiosk looks a little special. 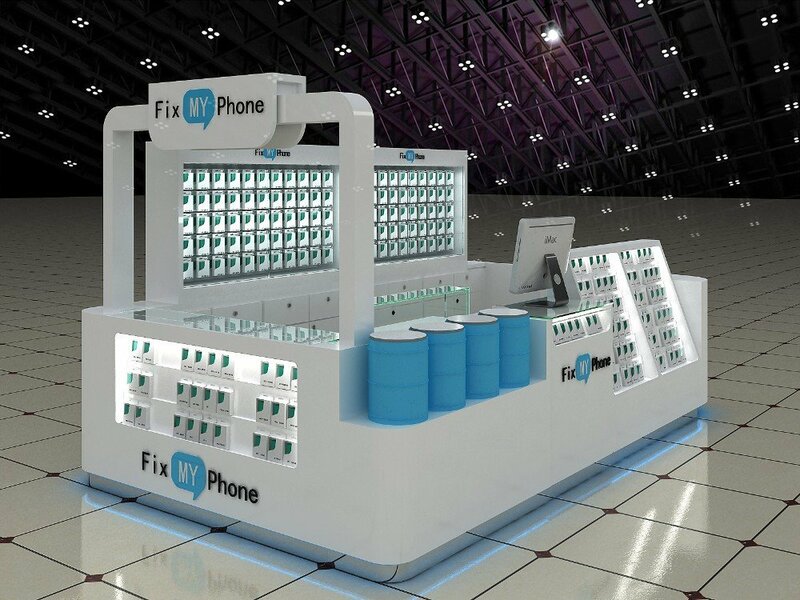 Do you like this phone repair kiosk design? If you also wanna do a phone repair kiosk, just come here. 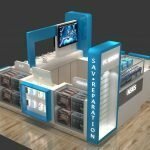 The unique kiosk has a professional design team and exquisite workmanship, we can help you design your phone kiosk as your needs. Recently we did a lot of phone repair kiosks, now workshop has 5 phone kiosks are doing, two for a French customer, two for an American customer, one for an Australian. Phone kiosk is the strength of our company. 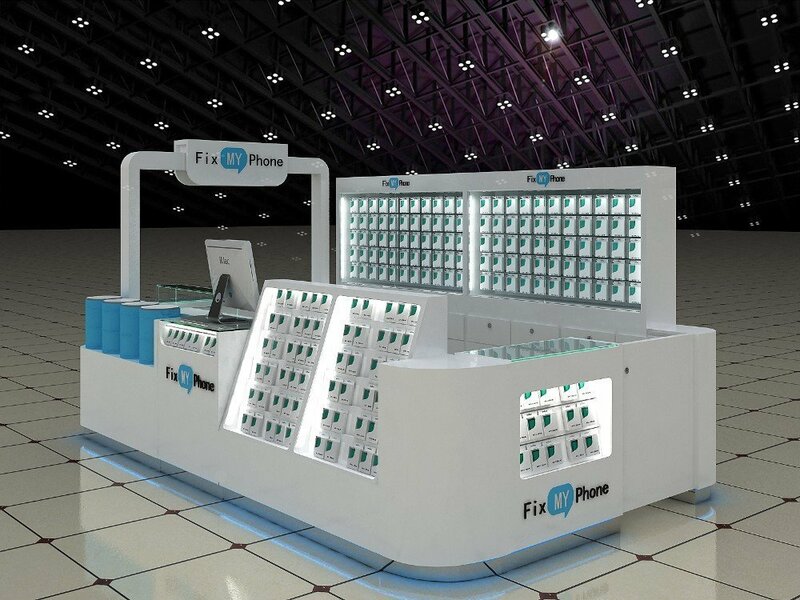 We did many phone kiosks used in many famous malls, like Westfield mall, DFO mall in Australia, GGP, Simon in the USA, The Bridges in the UK etc. As we know these malls requirements are very strict and the standard is high, you may ask why we can meet mall needs? 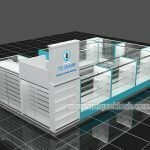 Let me tell you, fristly for kiosk design,we have experienced design team,will follow mall requirements and standard to design your kiosk,like height,layout, logo, electricity, wires all will follow mall needs to design;second, we will use the materials follow mall needs strictly, use high-quality fire retardant wood and stone, durable tempered glass to make the mall sushi kiosk for you;Third, we will do professional tech drawing show all details very clearly. So you needn’t worry about approval, we willl help you solve this.